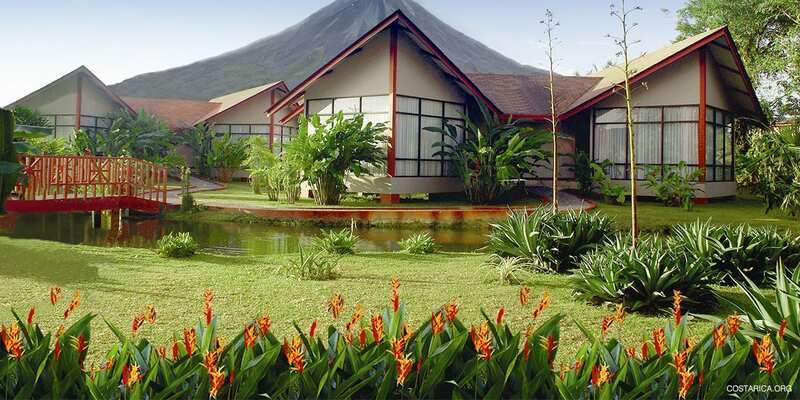 This charming hotel Montaña De Fuego Resort is located at the foot of the majestic Arenal Volcano. Here you will be able to appreciate the incredible power of nature fully. 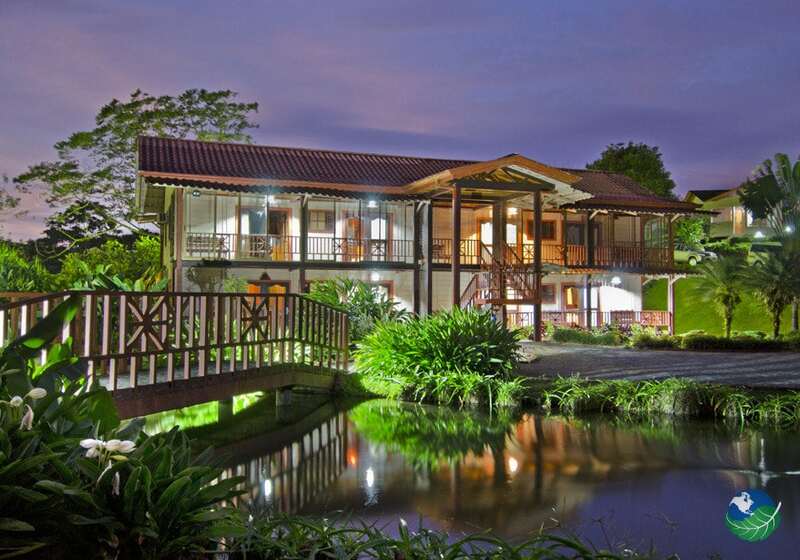 This hotel is immersed in natural beauty on 45 acres of fertile, verdant land, naturally adorned with magnificent tropical gardens. The hotel provides an ambiance that is comfortable, pleasant and inviting. 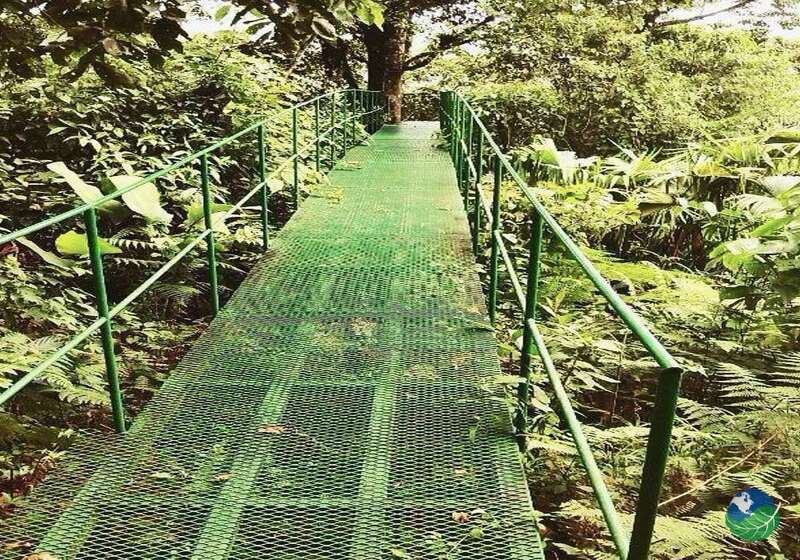 It is close enough to the town of La Fortuna for visits. Also, far enough away to be removed from its hustle and bustle. Surrounded by breathtaking mountains, rivers and cloud forest, Montaña De Fuego Resort & Spa is a natural oasis in Costa Rica. Too, this lodge offers 66 spacious and comfortable bungalows. All hotel units are clean and comfortable. They come equipped with air conditioning, hot water, cable TV plus a mini fridge. 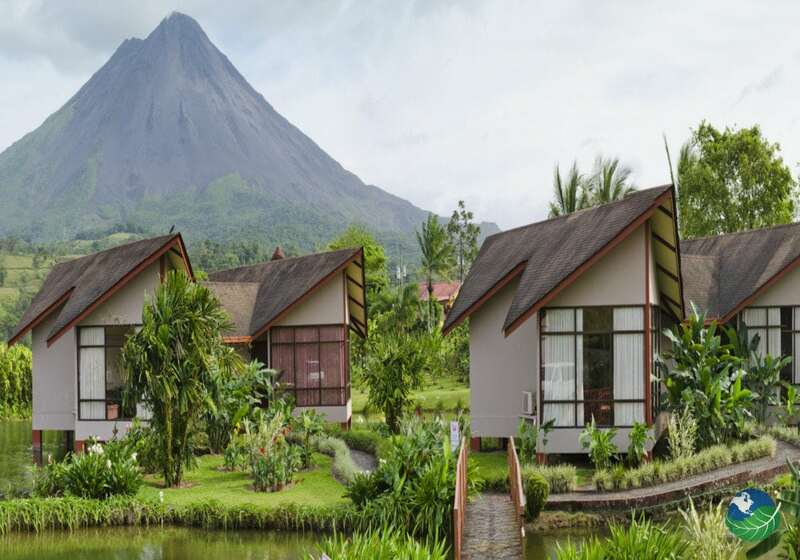 Every room has a private terrace with views of the Arenal Volcano, providing guests with an unmatched location from which to see the majestic volcano and its dense rainforests. Each room features a rustic yet cozy design to help guests feel at home right away. When staying at Montaña De Fuego Resort & Spa, you can relax in the hotel’s spectacular swimming pool and swim up wet bar. 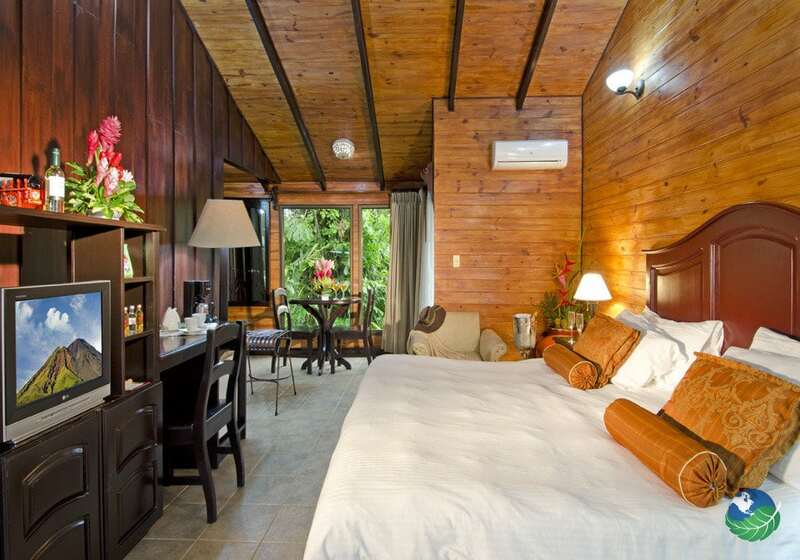 You will enjoy the resort’s hiking trails, lush gardens, and Jacuzzis. It even has its private lake! The hotel boasts a charming souvenir shop that sells local crafts and artwork. There is also a grocery store and clothing shop that features original designs. Guests are invited to explore the hotel’s rain forest trails on foot or by horseback or take a stroll through the property’s exquisitely landscaped tropical gardens. This is the place you should enjoy and visit. There’s a variety of tours you can choose from. Waterfalls, Jungles, Horsebackriding – there’s something for everyone. Firstly, an afternoon swim in the pool is the wonderful way to relax. 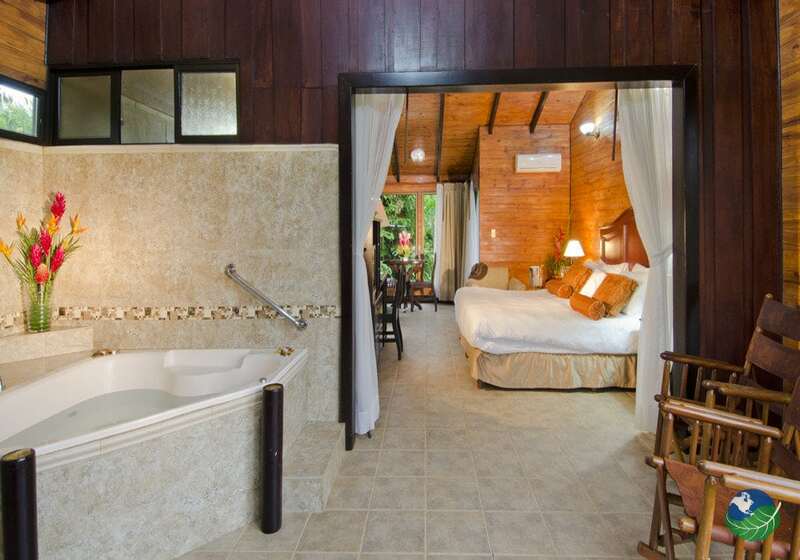 If further relaxation is in order, you can enjoy a soak in the Jacuzzi or spend some time in the sauna. You can also spoil yourself and go for a massage or schedule a spa treatment at the En Gadi Spa. At Montaña De Fuego Resort & Spa, they take pride in their service, and you will notice this in every aspect of your stay. From the excellent services, you’ll receive at the spa, to the helpful staff at the Front Desk, everything this hotel does is done to make your stay more delightful. Its spacious and comfortable rooms offer you all the facilities to rest and relax. 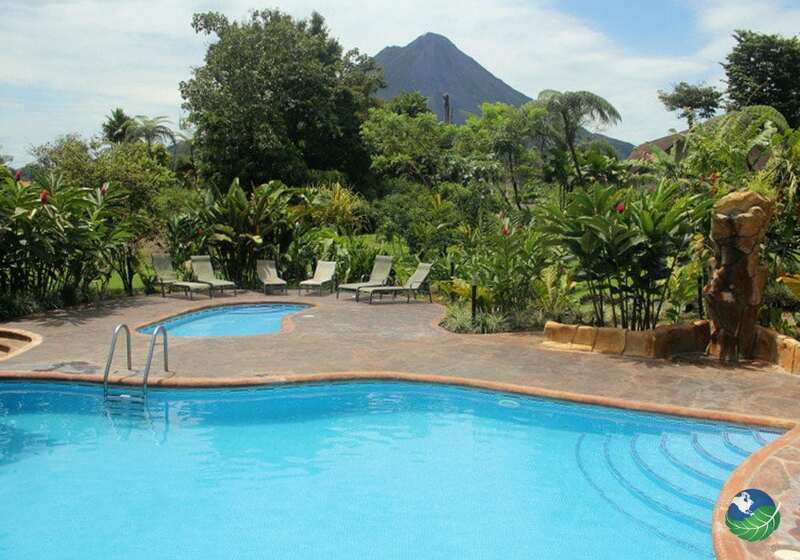 You will also find yourself surrounded by a diverse natural environment and the most spectacular view of the Arenal Volcano. Here you can feel the power of nature.